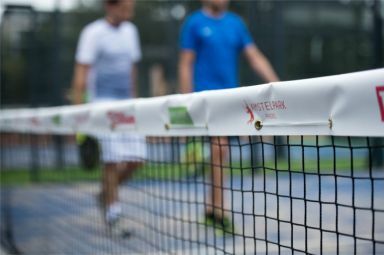 The best way to get in contact with other padel enthusiasts is by joining the Amstelpark Padel Toss. Everyone who is interested is more than welcome to join, regardless of level. Renting a padel court online at Amstelpark Padel is quick and easy. Starting from € 20 an hour you can enjoy playing with your friends. Book your court ahead of time for a full hour of play. Sign up now for the best padel lessons by our certified padel coach and learn to play this sport the right way. Lessons can be booked in a series of 5 lessons for 1 to 4 participants. 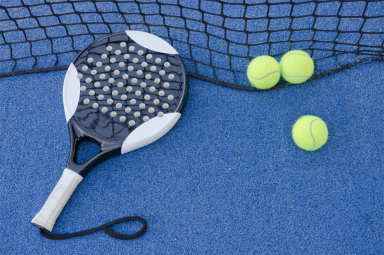 If you want to play padel in Amsterdam, Amstelpark Padel is the place for you. 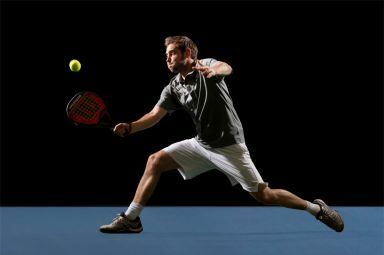 In addition to three brand new padel courts you'll find everything else you needto enjoy this flashy and exciting sport. Rent a court with your padel buddies or sign up for padel lessons so that you van learn to play this great sport or improve your skill level. Enjoy a nice drink or some good food in our modern clubhouse while talking over all the cool points you played. At Amstelpark you can also sign up to play official competition matches or to participate in fun tournaments. 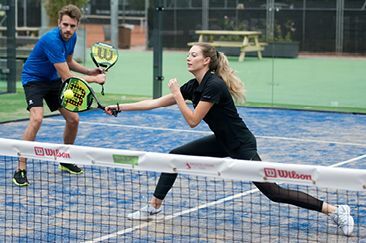 Corporate events or padel sessions with you colleagues or business clients can be easily set up and organised by us as well. Come and visit us at Amstelpark to get to know this fantastic sport or to enjoy some exciting matches as an experienced player. Everyone is welcome regardless of age or level. Check out this video to get an impression of what padel is like when played at the highest level. Sign up for the Amstelpark Padel Whatsapp group and get in contact with other padel players. Sometimes it's hard to get 4 players together. 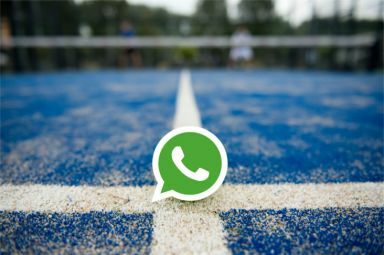 Amstelpark Padel lends a helping hand with this whatsapp group. For those who play padel regularly we offer a nice discount through our Amstelpark Padel court rental credits. These credits can be used during peak and off-peak hours for 60, 90 or 120 minutes. 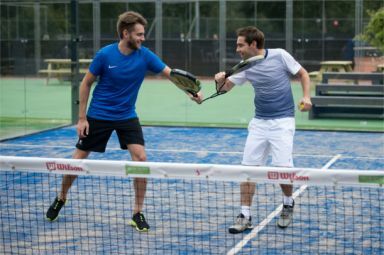 Will you and your padel partner join us for the super fun Amstelpark Padel Sring Tournament? Short and exciting matches against players of similar level. Sign up if you're an intermediate or advanced player.